Realism has been falling out of favor since the end of the Cold War, condemned by the Kumbaya crowd, avoided by the liberal, PC-gone-wild intelligentsia, and denigrated by “end of history” ideologues (many of whom all too cynically remain realists while cloaking it under the mantle of “liberal interventionism”). What they all have in common is a denial of reality – denial of basic human psychology, and the inevitability of its transmutation onto the level of inter-state relations. Let’s look at this through the prism of human violence throughout history. 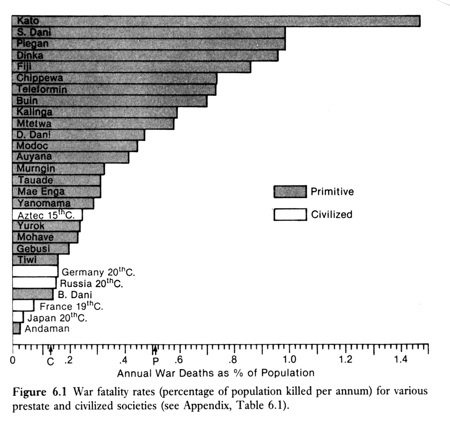 The high war death rates among most nonstate societies are obviously the result of several features of primitive warfare: the prevalence of wars, the high proportion of tribesmen who face combat, the cumulative effects of frequent but low-casualty battles, the unmitigated deadliness and very high frequency of raids, the catastrophic mortalities inflicted in general massacres, the customary killing of all adult males, and the often atrocious treatment of women and children. For these reasons, a member of a typical tribal society, especially a male, had a far higher probability of dying “by the sword” than a citizen of an average modern state. Below is a chart illustrating the vast gulf between the natural violence of man in the “natural state” (two meanings) and the artificial / coercive violence embodied in the “civilized” state. 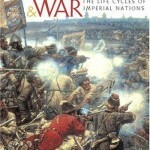 This was total war on a scale even technological totalitarianisms had difficulties recreating. The constant prevalence of warfare in human prehistory also made a huge impact on society in terms of language (“…That language has evolved to be parochial, not universal, is surely no accident…Given the incessant warfare between early human groups, a highly variable language would have served to exclude outsiders and to identify strangers the moment they opened their mouths.”) and even psychological traits like altruism. Both men and women are volatile, prone to quarreling and quick to take offense at a suspected slight or injury. They are jealous of their reputations, and an undercurrent of tension, even latent animosity, accompanies many interpersonal relationships. Dominance and submission, rivalry and coercion are constantly reccuring themes, and although the people are not lacking in the gentler virtues, there is an unmistakable aggressive tone to life. Homicide rates fell somewhat by the time of the Middle Ages, though at 20-100 / 100,000 per year medieval societies were still far more violent than most countries today. (Again, images of bucolic Christian idyll to the contrary). 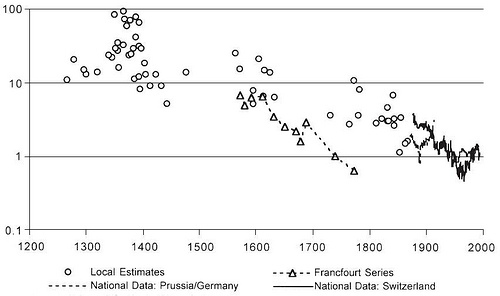 [Historical homicide rates in Germany and Switzerland (log scale) on vertical axis. Note the uptick in the 14th century, which corresponds to the Crisis of the Late Middle Ages]. Folks of all social classes carried knives with them (for eating) and were quick to perceive insults, at which point they summoned the help of their kin, servants and friends to deal with the offender (most murders were collective). Though medieval and early modern punishments, when they happened, tended to be brutal, public and excruciating by modern standards, they mostly focused on transgressions against the community and the sovereign – from larceny & theft to high treason. As Norbert Elias wrote in his history of manners, which attempted to explain the gradual pacification of European societies over the centuries, “fear reigned everywhere; one had to be on one’s guard all the time… The majority of the secular ruling class of the Middle Ages led the life of leaders of armed bands”. So if that was how the elites behaved, not much hope for constraining the traditional (violent) ways of life of the peasants. Homicide was not treated as a particularly fell crime and conviction rates were much lower for it than for property crimes. Society only hanged those convicted of murder who were perceived to be outcasts. In most cases they were pardoned or suffered a lesser punishment, because the circumstances were held to warrant their homicide (e.g. defense of honor). 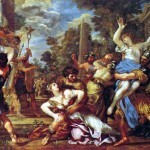 The culture of violence only really came to be suppressed by the power of the emerging, centralizing monarchies from the 15th century, which more-and-more effectively claimed a monopoly on violence as one of their core prerogatives (as well as a monopoly on issuing money and tax collection). The power of coercion, to punish and discipline, passed from the community to the state as part of the overarching transition to modernity begun in the late Middle Ages. * Trying to explain differences between homicide rates today in different countries is interesting, but is not directly related to the main thrust of this post, and is relegated to the end. But states themselves are run by humans (e.g. with the same basic psychological attributes of primitive warriors), who have found it useful to repress small-scale violence by coercion and territorial integration, but nonetheless feel it necessary to maintain a more traditional perspective in an arena where older arrangements, that is, anarchy (the state of nature), still prevails – international relations. Almost all modernization efforts from the early modern period to today were driven by the fiscal-military imperative of building taxable (or controllable) means of manning, equipping and supporting the military forces that are the last and truest guarantors of state security from the predations of other states. 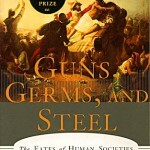 Whether you think the world state system today resembles more an inter-tribal state of nature (constant risk of bloody warfare) or a medieval-like community based on clan ties and largely separate from the state (need to conform for safety and always risk offending another member by a perceived slight into violence against you – and if he does, then the community is not certain to be on your side, or may even take the side of your attacker), it is certainly not an “end of history” utopia** where you can afford to sing Kumbaya as your lullaby and slip away into the progressive pieties of the warm glow of common humanity. Welcome to the real world, in which said humanity – most of which still identifies itself by tribe, nation and faith – will make sure you never wake up. Though I call prehistoric peoples with a low material & technological level “primitive” and “violent” (which they are – by our standards), I do not consider them evil or even inferior to modern “civilization” – that would be quite illogical, consider that our understandings of “good and evil” are quite foreign to them, whereas “inferiority” implies measurement by one’s own yardstick. Instead, I go by Trubetzkoy’s moral relativism as to “the equal worth and qualitative incommensurability of the cultures and peoples on this earth”. The concept that violence is our reality – and perhaps the most basic human commonality of all – is one of the major wellsprings of my geopolitical analysis, and I make no apologies for this. International relations are amoral (not immoral) and profoundly opportunistic. State security should always be (and usually is by wise leaders) prioritized in an optimal way – focus on power maximization, but not so overtly or arrogantly as to alienate the conformist “international community”. Applied to today’s world, act realistic while paying lip service to the tired tropes of liberalism and idealism. At times, this will have to include the sacrifice of internal liberties (economic, political and social) to guarantee the retention of greater liberties – foremost, sovereignty – from other Powers. The optimal balance between cooperation and coercion, both internal and external, varies between countries. 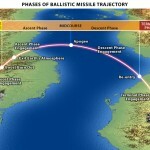 It is logical for nations under intense geopolitical pressure like Israel, Russia or Iran to institute a greater degree of coercion within and aggressiveness without; geopolitically secure nations like the US can afford a greater degree of leeway. Assuming a medieval-era society is an acceptable model for the international system, note the spike in homicides during the Crisis of the Late Middle Ages recorded in almost every European region. This was a time of resource shortages (deforestation), famine and the Black Plague, i.e. a Malthusian crisis. Similarly, internal warfare – inter-tribal raids in primitive spaces and civil war in collapsing empires – spikes during Malthusian crises. Hence, it is reasonable to assume that if the energy-and-environmental crises are not checked and reversed soon – and there is absolutely no indication of that happening – one can expect a similar spike in global violence in the decades ahead. This is expected to manifest itself in resource wars externally and rising crime rates and authoritarianism internally. * Today, most advanced industrial nations have very low homicide rates, ranging from 0.4 in Japan and 1-2 in most Western European nations to 5.8 in the US (which has pockets of medieval-level violence in many inner-city hoods). Only a few countries have homicide rates much above 20 / 100,000, encompassing mostly Latin American and failed / semi-failed states. Though there is a great deal of concern over violent murders even in extremely quiescent societies like Britain (by historical standards), their prevalence is mostly illusion. On the other hand, in a place like Venezuela, with its homicide rate of 48 / 100,000, the everyday danger from violence is very real (accounting for Venezuelans’ life expectancy, this roughly translate into a 1/30 lifetime risk of dying by the bullet, and would be translate into prestate-era rates in some barrios). There is no direct comparison, but arrest, prosecution, and punishment would appear to have been much more likely and much harsher in England than in the United States, at least until the mid-nineteenth century. Vic Gatrell’s study of English executions, The Hanging Tree, is chilling. In the waning years of capital punishment, 1805–1832, more than 2,000 people were publicly hanged; only 20 percent of those were for murder. Those numbers—about 75 a year—were down from an estimated 140 per year for 1770–1805, and even more dramatically down from 75,000 executions in the century between 1630 and 1730. In the United States, Watt Espy’s research suggests about 800 executions for 1770–1805, and 840 for 1805–1832. The execution rates per capita would be about 20 percent higher for England, and this crude estimate ignores the much lower crime and homicide rates there. In addition, we often forget that transportation loomed as a terrifying alternative for English felons. However, an English criminal would have found life easy in the American colonies and the young United States. We can directly examine the figures on homicides and executions in New York City from 1800 to 1950, and the record shows that there is no statistical relationship between the two rates. In the nineteenth century, in slightly more than half of the years there were no executions in New York City, but there were plenty of murders. Very few New Yorkers were executed in that century—maybe 82 of some 3,400 murderers, less than 3 percent. Such a low rate of executions may seem surprising, but even today, the rate of executions for murder in the execution-prone state of Texas ranges from .1 to 1.3 percent. Even the dimmest murderer may not worry too much about capital punishment. Combined with Americans’ different mentality from Europeans – they put a much greater stress on older values of individualistic, rugged, manly asperity and honor; as well as pockets of distinctly pre-modern social attitudes seen amongst “ghetto” communities (based on “respect”, turf wars, etc) – and it’s not surprising its homicide rates are much higher than in Europe. And although the US managed to substantially reduce it’s homicide rates from the highs of the 1980’s, this was most likely due to its record-breaking achievements in raising incarceration rates than any kind of cultural shift. (Though some would argue that guns are responsible for the higher American murder rates, this is a vacuous argument I will not bother debunking here). Russia’s homicide rate is a lot higher even than America’s (around 16.5 / 100,000), nor is it a recent phenomenon born of “transition shock”. Soviet propaganda to the contrary, socialist Russia had a higher homicide rate than the US for the vast majority of the post-Stalin period, despite the relative severity of Soviet laws. Partly this was due to Russia’s traditional proclivities towards excessive alcohol consumption, but also partly due to the fact that by the time industrialization came to Russia in the late 19th C it was still, in a sense, a medieval society – very violent, community- and kin-based, and very touchy on matters of respect / social status (see Figes’ unflattering description of pre-revolutionary Russian village life in A People’s Tragedy). A century of state coercion did not break its embedded medieval cultural traditions, and through its arbitrary nature perhaps even reinforced them. ** Granted, there are some improvements. Modern leaders tend to be more rational than the prestige-obsessed “big men” presiding over primitive societies, and most do not react to slights with the same zeal or violence. Another factor is that in relative terms, war has become less demographically damaging in modern times. In primitive societies, because political units were very small and dispersed, the “bloody borders” between states were much longer in aggregate, whereas the borders between today’s big states may sometimes get very bloody very fast, but there are much fewer of them. [A metaphor for primitive war would be a thousand gashes continually inflicted over humanity’s body all the time, whereas modern warfare (WW1-style) would be infrequent maulings with an ax]. On the other hand, the advent of missile / nuclear weapons and post-2nd generation warfare has married the technological destructiveness of modern war with the totality of primitive war.